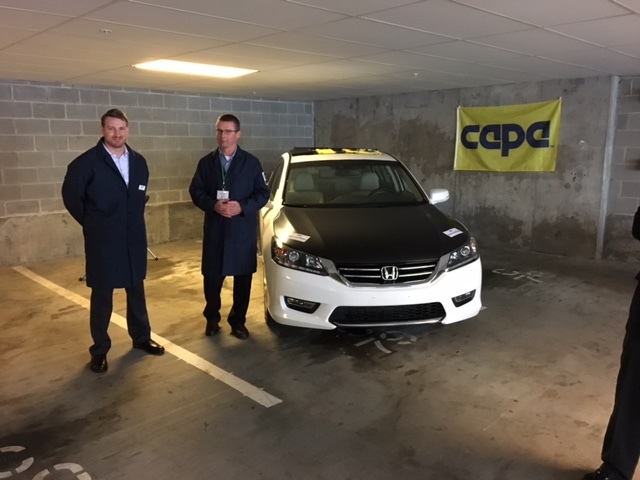 On Thursday afternoon, a demonstration of CAPA’s Vehicle Test Fit (VTF) process was held in the parking garage of the Renaissance Midtown Hotel. 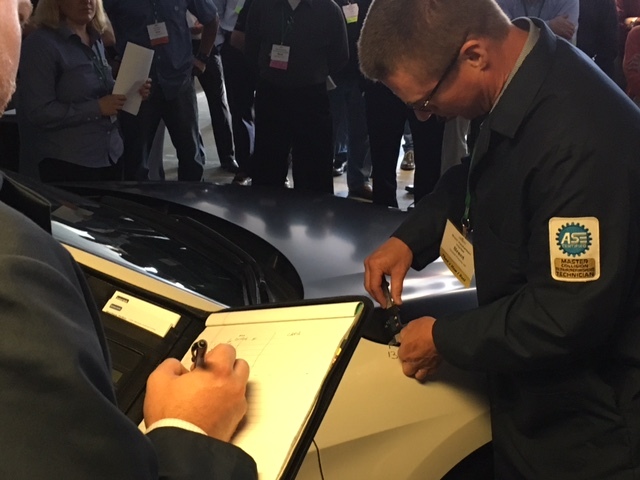 Test engineers from Intertek conducted a brief fitting demonstration of a Honda hood from a certified vs. non-certified manufacturer. 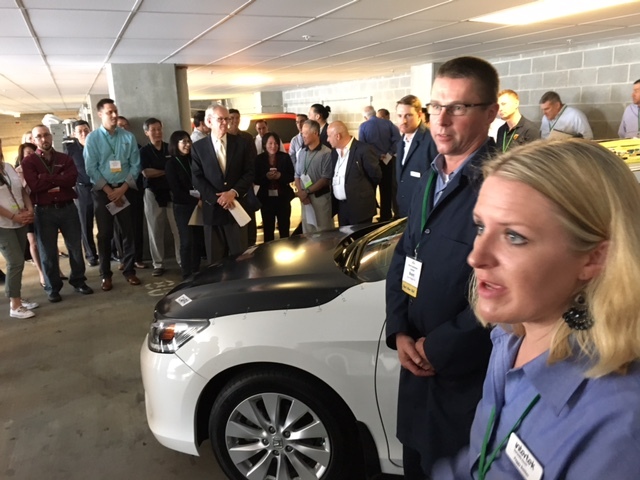 A large crowd made their way to the garage for the event. Intertek test engineers are ready to demonstrate their craft. 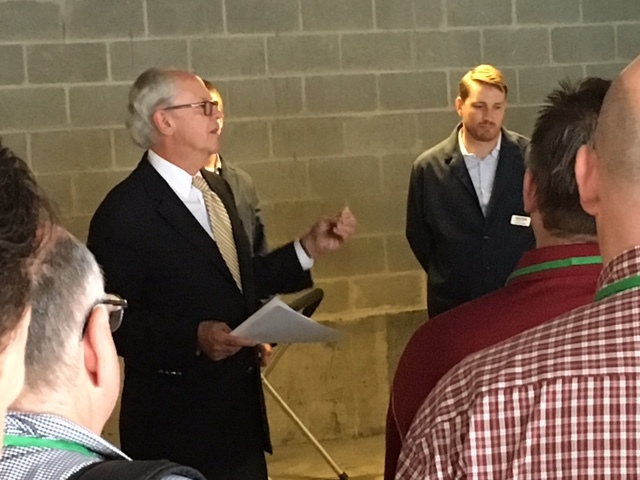 Jack Gillis of CAPA welcomes the crowd and explains the VTF process. Careful calibration of fit and finish are part of the VTF assessment. A bevy of questions followed the conclusion of the VTF demonstration. Body Language is the official newsletter of the ABPA. Click here for more information, and to sign up for the mailing list!